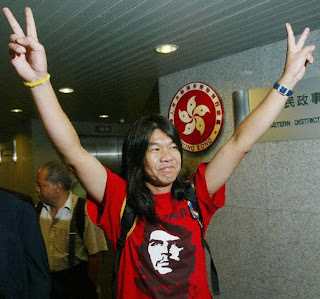 Happy 52nd birthday to Hong Kong activist Leung Kwok-hung! You’ve spent many moons growing out that coif (we hear that you aren’t cutting it until China apologizes for the 1989 crackdown on the Tiananmen Square protests)– here’s hoping you have reason for a trim this year. 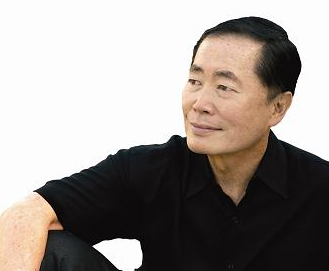 Watch Takei as Kaito Nakamura tonight on the season finale of Heroes. He’s teaching Hiro how to use his samurai sword, at long last!